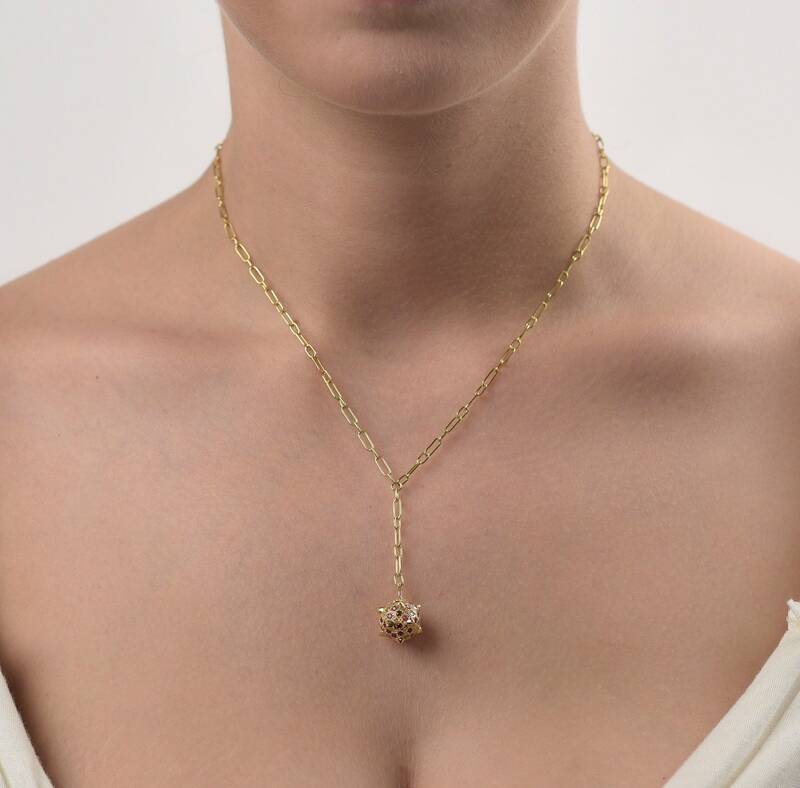 The Morning Star Chain necklace is hand crafted in 18k yellow gold, hallmarked in Cyprus. It comes in a highly polished finish and is masterfully set with 1C Ruby, 0,80C Brown Diamond and 0,10C White Diamond. 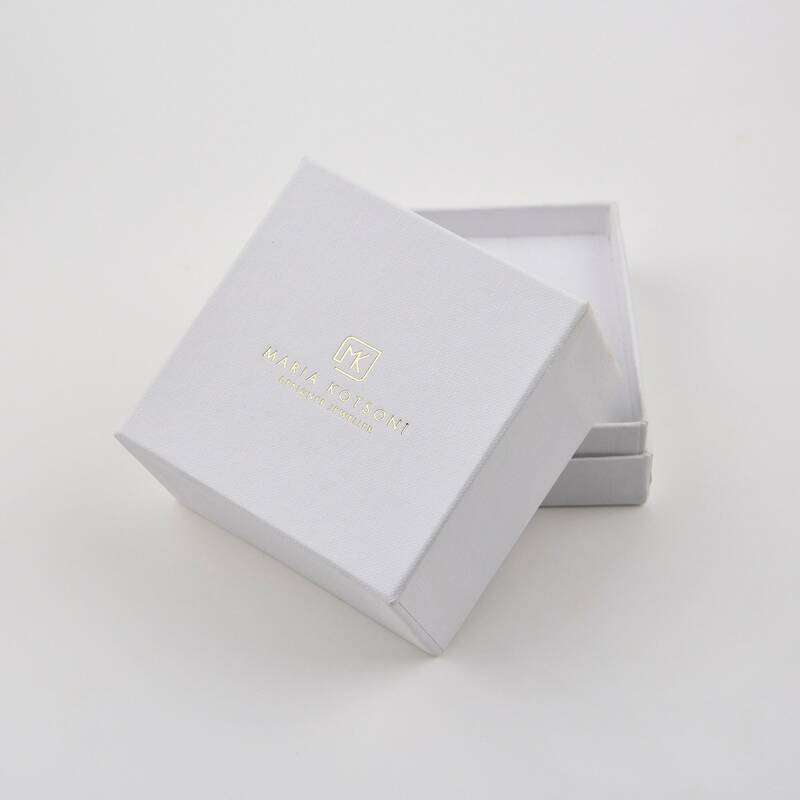 The hand made, link chain, features a very safe and discreet closure. The Morning Star Chain necklace is inspired by Ancient Roman gladiators and reflect the modern day woman-warrior’s personality. 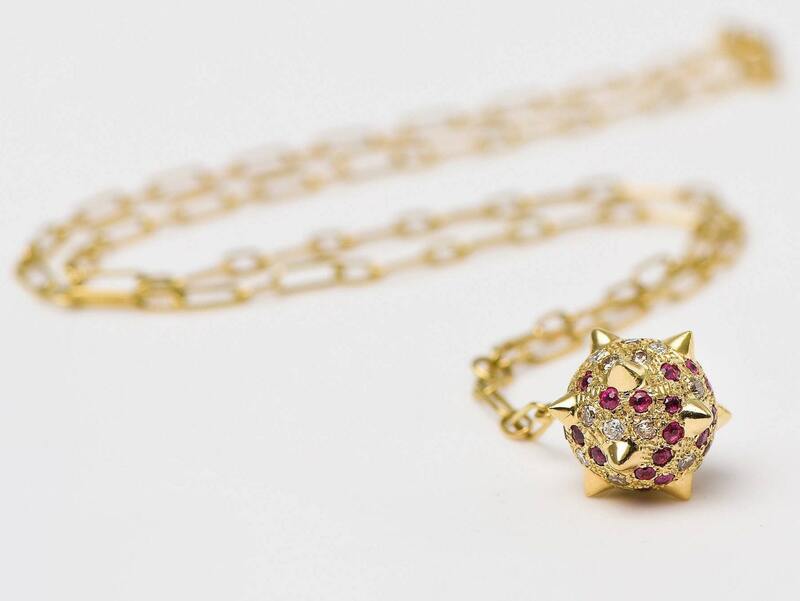 It is part of the designer’s latest collection ‘Spiked’ that focuses on the Spike as an ancestral element and it’s use as an accessory for the protection of the most delicate life forms and the aversion of potential threats.